Since my site is reborn here, I thought I would talk about a game that would change the gaming world. It was not too long ago when video games as we know it did not exist. There were a few computer video games during the 50's and 60's like the rare Tennis for Two and the college favourite Space War but neither game wasn't something you could just go into a common store or bar and play. The technology was just starting to break out so with the right hardware a commercial video game could be possible. Something had to get the ball rolling and there was only one game that meant with any kind of success. That game was Atari's Pong! Atari founder, Nolan Bushnell was both a fan of Space War and he also worked in the gaming industry. Bushnell did try to sell a real commercial video game called Computer Space in 1971. Computer Space was popular on some school campuses where people could admire the technology but the game wasn't very successful in the important common markets like the bars and if you couldn't make it in the bar then you just weren't going to make a lot of money to begin with. Bushnell would not give up though and his next game project would be the one that changes history. Bushnell would hire engineer Al Alcorn to work on a simple idea for the next game. Bushnell also said to Alcorn that he had a big budget deal with General Electric even though the GE deal was a complete lie. Alcorn looks back on it as insensitive to work harder on the big game then if he knew the truth. Although Bushnell did have a deal going with Bally/Midway to create a video driving game, Alcorn was just starting out with video games so the assignment was make a very simple Tennis/Ping-Pong game and see what happens. Al Alcorn would create Pong! Here's what you have do in Pong. You must use roller dials to move on screen paddles up and down. Once the ball is served, it’s a battle for survival has you try to defect shots back to your opponent's side. If the person misses the ball, then the other side earns the point. The first one to get 11 (or 15) points is the winner. The game is not nearly as easy as it sounds because the two paddles are very small and if you the ball in a certain way then it can really speed up the shot thus making a game much more intense. If you want cutting edge graphics then you certainly won't find them here. 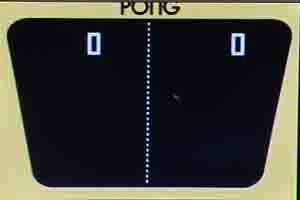 The original Pong was just a basic black and white only unit just like most video games in the 1970's. There was just a simple center line, a few numbers to intricate the points, and each paddle was only a simple white stick that hits a tiny ball. That's it! 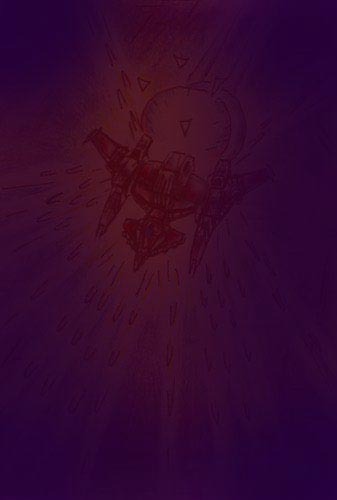 There are no Mode7 effects, no polygons, no half naked girls, and no detail of any kind for that matter. You Odyssey fans may also recognize the look of Pong when compared to one of those games on the early system Magnavox machine. Odyssey creator Ralph Baer wasn't too pleased with this and this lead to a lawsuit against Atari. The case was settled out of court so Atari would pay royalties and Pong could still make tons of money. You can also forget about any background music either. Pong offers basic only two basic sound effects, one 'Ping' when you hit the ball and one loud 'Beep!' when a person scores. Pong has simple yet effective features. Pong may have been a ground breaking achievement for the video game industry and all but just look how video games have advanced in the last 30 years. Sure, you can play Pong with a friend and get a few kicks but the thrill can only last for so long when other sports games have came so far. Still, we owe a lot to Atari's original Pong because without its early success in 1972 we may not be in the place we are in today and your kids could still be playing with some cheap View masters or something. Atari Pong can be found on the Playstation and Dreamcast editions of the Atari Anniversary Collection and various other classic compilations.